Memorial Day weekend marks the official start of outdoor summer fun, backyard parties, camping and local festivals. The entire summer is filled with opportunities for outdoor fun and entertainment. Having the right party equipment on hand makes for a more enjoyable event that friends will remember for years to come. Shown below are some great outdoor party bar ideas for your next gathering. 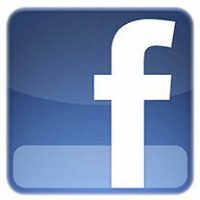 If you have a good summer party idea, drop us a comment at the bottom of the page. 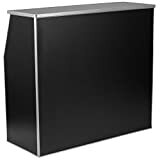 This easy to build beer bar can be used either indoors or outdoors, but in the summer, it makes a great festival or backyard party bar. This bar project can be build in a few hours with minimal materials and customized in any way you like. Paint and decorate for a specific theme or in tropical colors for a festive summer experience your friends will never forget. Some of our enterprising site members have built small fleets of these inexpensive bars, loaded them up on a trailer and rent them out for weddings and festivals. 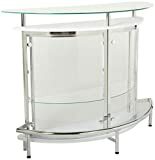 Easy enough for two men to move, you can line up multiple units for a very long beer bar or wrap them around corners for rectangular configurations. Feeling Tropical? 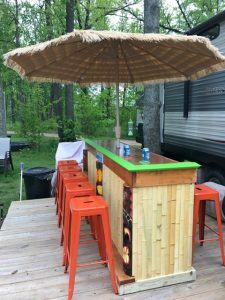 The EHBP-01 can be quickly made into a tiki bar by adding a thatched umbrella and some tiki trim and paint like the campground bar shown at right. It's just one of the many plans available with your membership to Barplan.com. 2. Jockey Box Delivers Cold Beer Fast! 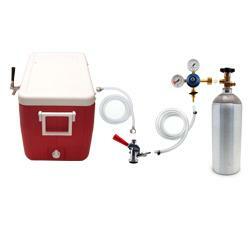 One of the biggest problems with backyard parties is how to keep the beer keg cold and how to do it fast! Dropping a tepid 1/2 barrel into a tub of ice will work, but only if you do so 8 hours or more in advance. When the beer runs out and you need cold beer fast, the only answer is the Jockey Box! 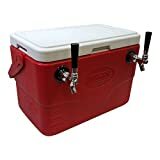 You simply fill the chest cooler with ice, connect your warm beer keg to the back and start enjoying cold beer without the wait. 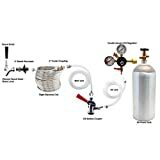 Works by circulating the beer through a long length of stainless tubing immersed in icy cold water. Uses less ice than simple tub systems and lasts many hours longer. 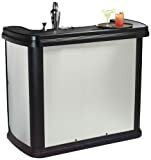 Buy one and rent it to your friends and it will pay for itself in a few short parties - Click here to learn more about the Jockey Box Beer Cooler System. Similar to the EHBP-01 design, the EHBP-05 is a portable mini bar that breaks down into 5 or optionally 6 easy to transport sections. 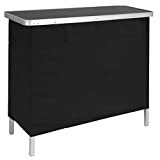 This makes a great portable bar for backyard parties, poolside or patio bars, concerts, sporting events or camping. 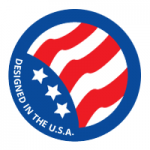 This project can be nominally re-sized using the custom bar designs, included with your membership to the Barplan.com site. 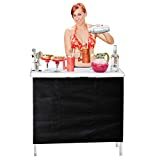 Note: The EHBP-05 Party Bar is also available as an L-Shaped Portable Bar Project in the l-shaped portable bar. We have more outdoor party bar ideas; there is the ultra cool EHBP-20 Party Bar Hut and the ridiculously innovative floating swim up bar. 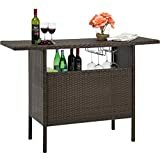 For more information, see the What You Get page and our Backyard Bar Ideas page. That's all for now, be sure to drink responsibly and have a safe and enjoyable summer!